This recipe is my favorite! Mini Pumpkin pies with graham cracker crust! I never thought of it! I am going to make this pie for Thanksgiving! Awesome! I love Fall treats! They are all so yummy! This is always my favorite! I always love when it’s time to break out the pumpkin recipes. It’s my favorite! I love pumpkin, and my family always has the traditional pumpkin pie and bread. My daughter recently tried a pumpkin brownie and using pumpkin in Mac and cheese. So many things you can do with canned pumpkin….it’s even good for the dog! These recipes all look delicious! Thanks for some delicious pumpkin recipes, i have 5 pumkins sitting outside of my door, thinking what can i make.. Thank You For Sharing These Pumpkin Recipes. I Don’t Bake Very Often But I’ll Have To Try At Least One Of These. Thanks for all the great pumpkin recipes. I collect recipes and I also do alot of pumpkin baked goods this time of the year so Im always on the look out for new things to make with pumpkin. Pumpkin bread is my favorite! Thanks for the pumpkin recipes . Other than pie I am never sure what to to do with pumpkin. The spiced pumpin bread looks great, I could give my mom a run for her money, she always makes the pumpkin bread every year! Mini Pumpkin pies with graham cracker crust sounds absolutely delicious!!! Think it’s gonna be a big hit at my Thanksgiving dinner with friends and family. A great time of year to get all together and celebrate all our blessings!!! Don’t doubt that I’m not going to be a couple back so at the end of the night, will be sitting in my PJ’s with my incredible dessert, all cozy after all has went to sleep. This is going to be a big hit, no doubt. Thank you for sharing your recipes with us. My mom made a pumpkin pie with graham cracker crusts and the flavor combo is great! i love pumpkin pies…..and pumpkin for dogs that have diarrhea….they make canned pumpkin just for dogs now. I could always use more pumpkin recipes! I love pumpkin anything, pie, cake, cookies, cheesecake. Problem is on a renal diet if it tastes good you spit it out. I love pumpkin bread! This recipe looks really good, one cool thing you can do is add a layer of cream cheese in the middle for more yumminess! The mini pumpkin pies will be great for the grandkids! I love just about anything with pumpkin! I love pumpkin bread so I will be giving that a try. I wish I could make them all! Thank goodness for canned pumpkin. Unfortunately, I am inclined to just eat dessert and nothing else during the holiday season. Oh well; thanks for the recipes! Oh my gosh! Can’t wait to try the Pumpkin Poppers! Yummy. i have been looking for a good pumpkin bread recipe and i think this is the one! i just bought some cinnamon flavored cream cheese that will taste great spread on this! I love pumpkin desserts, and all of these look fantastic! I’ve also added them to my “must make” list!! Thanks for sharing! I love anything pumpkin! Thanks for some great ideas! Nothing says fall like pumpkin. I make pumpkin walnut cupcakes for snacks. I LOVE pumpkin! I’ve already made pumpkin pancakes several times. I’m definitely going to try the pumpkin snickerdoodles. Snickerdoodles are my favorite cookie, and what a genius idea to combine that with pumpkin! Thanks so much for sharing, this is perfect for Thanksgiving! I am a huge pumpkin fan, can’t wait to try some of these dessert recipes. This pumpkin loaf is a must try! 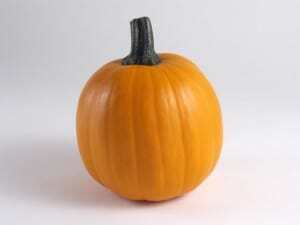 I love pumpkin too and baking with it is fun and healthy. That pumpkin bread conjures post-Halloween childhood memories! Considering how popular pumkin is at coffee retainlers, it is surprising we have never seen something like this as a doughnut. I never really do much with pumpkins, but tasty ideas! Those pumpkin poppers sound so good! Thank you for sharing!! I love just about anything with pumpkin. The spiced pumpkin bread sounds yummy! I love pumpkin! Thanks so much for posting these. Thanks for posting these! I especially like the spiced pumpkin bread recipe. Nice post. It seems like pumpkin pies are a good choice. Thanks for sharing.